Collective Campus delivers a dynamic and engaging training program that empowers participants to develop innovative ideas through rapid experimentation and learning. I would recommend them to any organisation looking to build the capacity of its people to develop creative and effective solutions to customer problems. City West Water is one of three Victorian Government owned retail water businesses in metro Melbourne. They provide drinking water, sewerage, trade waste and recycled water services to our community of customers throughout inner Melbourne and the western suburbs. City West Water sought to give teams of employees who won an ideas challenge internally a pathway forward by upskilling them in fundamental innovation methodologies. 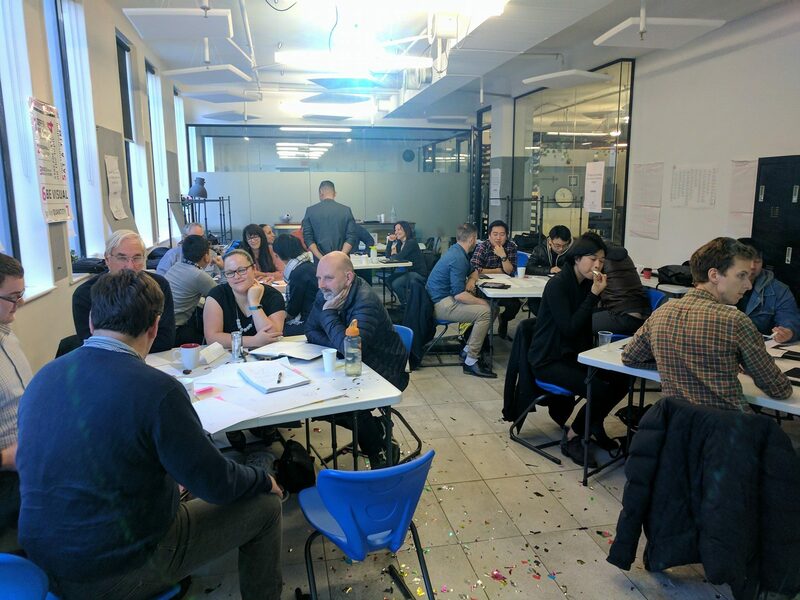 Collective Campus facilitating an intensive one-day workshop for 20 participants which focused on corporate innovation 101, design thinking and the lean startup methodology. The workshop featured a combination of TED-inspired storytelling, case studies and hands on activities. CWW employees' introduction to design thinking and lean startup methods empowered them to bring the ideas to life in a single day. The five teams gained an understanding and an appreciation for the fundamental drivers and blockers of corporate innovation. They applied the lean startup methodology to their ideas, mapped out business models, defined key assumptions and developed prototypes to test market appetite, all in one day, demonstrating how quickly you can move with the right conditions and framework.